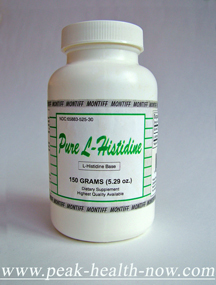 Montiff Pure L-Histidine, precursor to histamine, supports vasodilation, orgasmic function, neuronal health, tissue healing and more! Montiff Vas-cu-Care - a customer favorite! Directions: Take 1 to 3 three times daily a half-hour or more before meals with a full glass of water or fruit or vegetable juice. Vitamins and minerals are recommended for proper metabolism, especially B-6 and Vitamin C. Vita-Minz-Plus and B-Complete as well as Ultra C should be taken daily. For female sexual arousal and orgasms - 1 capsule t.i.d. prior to meals is suggested.